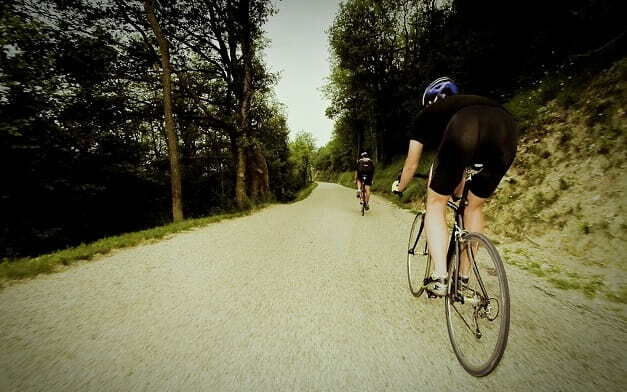 There is an increase in the number of cyclists on roads. Cycling seems to be the new trend with more people choosing to ride instead of driving or walking. Cycling is both fast, cheap and a great way to exercise. Furthermore, it is environment-friendly. Getting the right bicycle is important if you are to truly get a cycling experience. The Vilano Aluminum Road Bike 21 Speed Shimano is professionally designed to improve your cycling experience. Whether you are a cycling athlete or need a bike for leisure rides, this is a top preferred choice. Its appearance and top performance speak a lot and it is unlikely to disappoint. The bike is perfectly designed to produce top speed. This Vilano entry level road bikes model is able to reach top speed. It has the power to maneuver through tough and rough terrains. This makes the bike not only great in appearance but a mean machine likely to outdoor other similar models. Professional athletes will find this feature a great addition to their riding prowess. The double-butted aluminum frame is lightweight. This makes it easy to control the bike as well as lift and carry it where necessary. Although it is lightweight, the aluminum frame is able to withstand long years of cycling. This frame is also rust-resistant. In fact, the entire bike is only 24 pounds in weight. A powerful high-speed bike needs to similarly have tough and quality brakes. This bike employs alloy caliper breaks which makes the braking system highly efficient. This is even in top speed. This way, the cyclist is safe and unlikely to cause an accident. Every serious cyclist needs to consider such quality brakes when cycling. These powerful derailleurs jointly work to result in great performance. This performance is seen in speed and long-lasting performance. Shimano performance bike products are known for their high-end performance and durability. With these derailleurs, top speed and performance are fully guaranteed. Safe and comfortable riding requires a comfortable seat. That is why this Vilano bike model is fitted with Urban Comfort Saddle. This saddle ensures that the cyclist is comfortably seated. It also helps in preventing back-pains and aches. This way, the cyclist gets to ride for long without getting unnecessarily exhausted. The saddle is known to be also durable to give the cyclist years of use without wearing out. The performance of a bike greatly depends on the quality of rims and tires. It is important to go for tires and rims likely to give you years of service. These rims and tires ensure that even with high speed and a lot of mileage covered, they remain steadfast and intact. This is a great plus especially for a bike which is available at a cheaper price bike compared to other models out there. When out to buy the best bikes, the price really matters. Getting a fair deal for a highly efficient bike is not a simple task. However, with the Vilano Aluminum Road Bike 21 Speed Shimano, this is not the case. The bike is easily available and is cheaper compared with other bicycle models of the same class. The bike is further sold with free pedals. This makes the bicycle a great option for one intending to get a bike at a small cost. The affordable price bike does not, however, come down to low performance. The lightweight nature of this bike has a number of benefits. For instance, it is easy to carry and push where necessary. Amateurs will also find this an advantage in the fall. They are unlikely to get hurt as compared to heavy bikes. Cyclists get to have a firmer control of lightweight bicycles and can steer it in any desired manner. The aluminum frame is also durable and rust-resistant. These highly powerful brakes are unlikely to fail even at high speed. The cyclist is able to apply emergency brakes with much success and avoid accidents. This makes the bike highly safe and preferable. Whether it is an amateur or professional athletes, these brakes will work to ensure their safety and those of other road users. Speed and high-performance Cyclists will find this bike to be at top speed. The bicycle offers top service and performance like no other in its category. The 21 Speeds ability itself will ensure that the bike gains speed quickly. This makes the bike a great choice for cycling events. With this, be sure to lead. A great bike ought to ensure the comfort of the cyclist. This Vilano road bike review finds the bike to be a not only powerful but also comfortable bike ride. The lightweight nature and the Urban Comfort Saddle make ensures the rider long hours of riding without getting tired or hurting the back. This makes cycling the bike a more worthwhile experience. The bike has greatly combined affordability, comfort, and high performance. The assembling of this bike is not a difficult activity. There are however a number of videos on YouTube detailing how you can easily assemble the various parts. This makes it even much easier to put the parts together upon shipment. Make sure the nuts and bots are well tightened. It’s important to ensure you regularly change the rims and tires. This is especially where they show signs of starting to wear out. This is a proven way to enhance the performance of your bike. Greasing and oiling moving parts or a machine tend to perform better when they have been greased. This helps reduce friction and enhance performance. Regular greasing will also protect the bicycle parts from wearing out quickly as a result of friction. Take care of your bike by constant greasing and it will no doubt last longer. It is hard to find a cheap bicycle with such a great combination of features, looks, and performance. That is why you need to carefully look at the Vilano Aluminum Road Bike 21 Speed Review. This review has successfully tried to help in highlighting the features and performance of this superb bike. For a true cycling experience, order yours today.